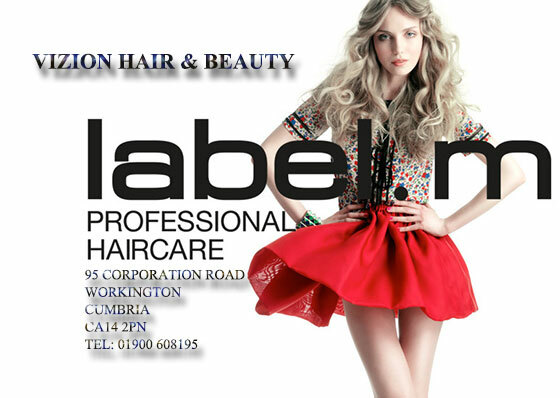 ViZiON Hair & Beauty: Workington leading hair and beauty salon in Cumbria. A modern contemporary salon. All our stylists are trained to the highest standards in cutting and creative colouring. Our friendly hair and beauty salon has been successfully serving Workington, Seaton, Harrington, Maryport, Cockermouth, Whitehaven area in Cumbria for many years. We offer a warm, welcoming service in Workington with easy parking. At ViZiON Hair & Beauty we pride ourselves on being one of the best independent Salons in Cumbria, offering extensive specialist treatments by highly qualified Hairdressers and Beauty Therapists. We now Stock LABEL M products.